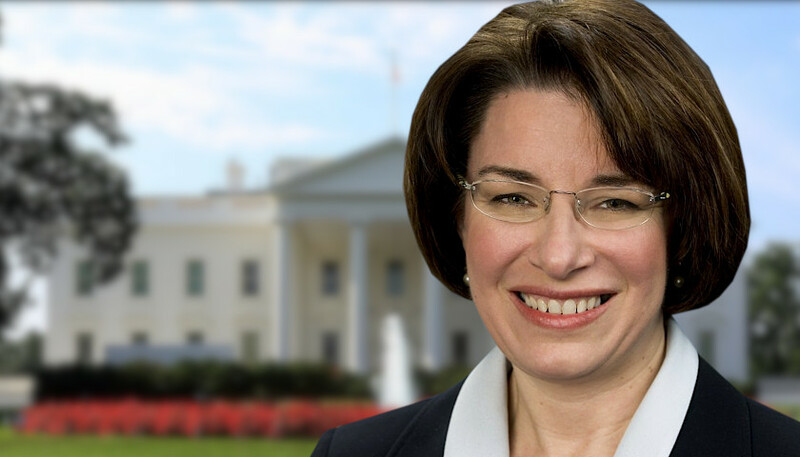 Sen. Amy Klobuchar (D-MN) issued a statement Wednesday night after she and her Democratic colleagues on the Senate Judiciary Committee were apparently denied meetings with President Donald Trump’s nominee for attorney general, William Barr. Barr is set to testify before the committee this week, but it is already shaping up to be another controversial nomination process. Klobuchar says she has concerns about an unsolicited memo Barr sent to the Justice Department in June 2018 in which he raised doubts about the scope of Robert Mueller’s investigation. “Mueller should not be permitted to demand that the president submit to interrogation about alleged obstruction. Apart from whether Mueller [has] a strong enough factual basis for doing so, Mueller’s obstruction theory is fatally misconceived,” Barr wrote. Klobuchar told Rolling Stone that she has additional concerns with Barr’s alleged failure to submit all of his ethics reports to the Senate Judiciary Committee. When she and her colleagues sought to meet with Barr to discuss these concerns, Klobuchar claims they were brushed off. “I tried (as did Blumenthal) to get meeting w/AG nominee Barr and was told he couldn’t meet until after hearing. The reason given? The shutdown. Yet shutdown didn’t stop him from other [meetings]. This is a [first] for me w/ any nominee as a member of judiciary,” Klobuchar tweeted Wednesday night. “Why was shutdown given as reason for him not meeting w/me before hearing like every other nominee has done w/judiciary senators? I even met w/head of patents once. Will serve coffee,” she wrote on Twitter. Memo To Whoever Is In Charge: Last time I checked, AG nominee Barr was not a furloughed worker. Why was shutdown given as reason for him not meeting w/me before hearing like every other nominee has done w/judiciary Senators? I even met w/head of patents once. Will serve coffee. On Thursday afternoon, Barr and Klobuchar were meeting in her Washington, D.C. office. “It helps you prepare for the hearing, very much so, and also you get to know them, because if you don’t vote for them—which, usually, you know, with a lot of these guys, you aren’t—you have a relationship, which is important,” she said. Klobuchar became a leading voice against the nomination of now Supreme Court Justice Brett Kavanaugh, and drew national attention for her line of questioning against him. As a relatively quiet member of the powerful committee, presidential rumors have been circulating ever since, and she says she plans to make a decision soon. With Rod Rosenstein reportedly leaving, nominee Barr must be committed to not only to maintaining the Special Counsel investigation but also to making the report public. These are some of the many questions I will ask at the hearing. The stakes are high. Background Photo “White House” by Martin Falbisoner. CC BY-SA 3.0.